We are excited to share with you today that our new multi-user access and permissions are now available in MyKinsta. This was one of the most requested features from users and we wanted to get it right before releasing it into the wild. Whether you’re an agency working with hundreds of clients, or simply needed to give a developer restricted access, this can now all be done with a few simple clicks. Previously clients had the ability to give a user all or nothing access to a company, and toggle between multiple companies. While this worked OK, it wasn’t ideal and so we went back to the drawing board. You now have the ability to add a user at the company level or site level along with new user roles that have fine-grained permission levels. You can find the multi-user access and permissions under a new “Users” menu on the sidebar of the MyKinsta dashboard. If you don’t see this yet, try refreshing the page in your browser. Company Administrator: Complete control of all company and site data. Company Developer: Manage all sites and manage users on or below their level. No access to billing details or company settings. Company Billing: Only sees billing details and company settings such as invoices, company address, etc. Site Administrator: Complete access to a site and have full control of all environments attached to that site. Cannot remove a site from a company. Site Developer: Access to the staging environment for a single site. Can perform any actions on it, apart from removing the staging environment. Company Owner: Only one allowed and is automatically a company administrator. Can request account closure or transfer ownership to another company administrator. Working in a constantly changing team? No problem. 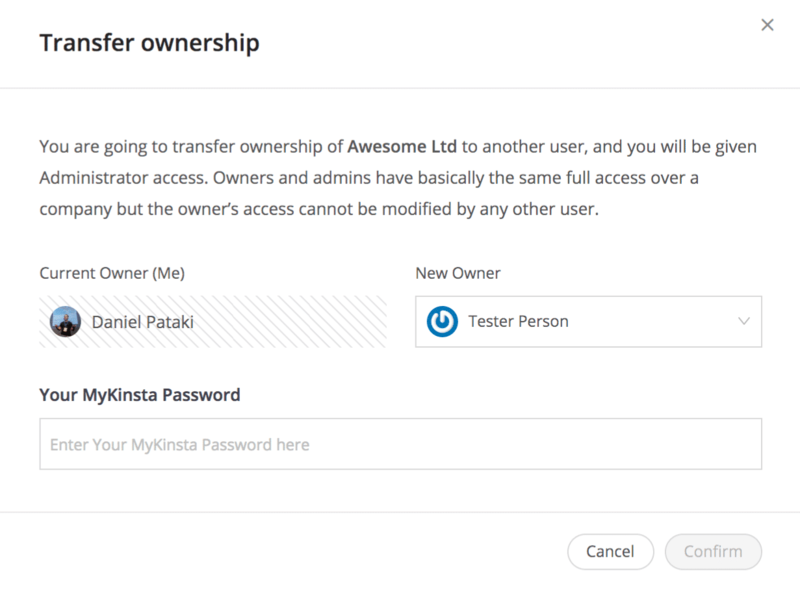 Another new feature we’ve added is the ability to transfer company ownership. 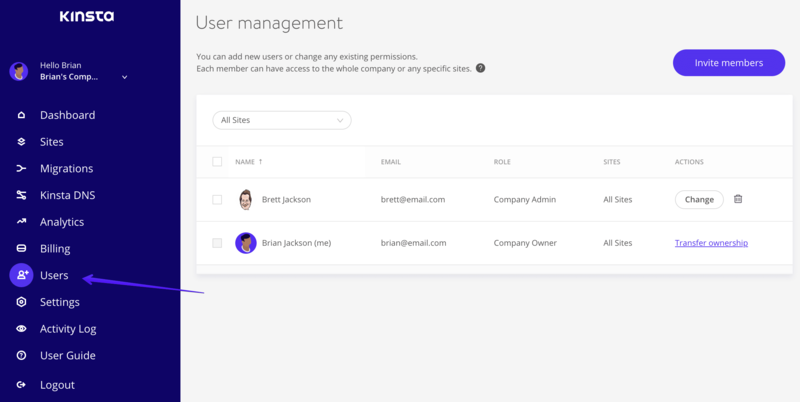 This allows for easy restructuring of permissions at the top-level of your company right from the MyKinsta dashboard. Check out the full details here. 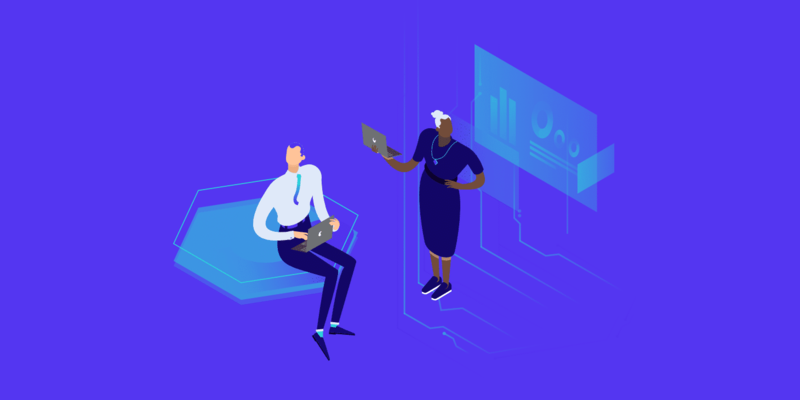 We hope this makes managing permissions in Kinsta a little easier for you and your clients! Tweet us @kinsta to let us know what you think. Make sure to subscribe to our newsletter so you don’t miss any of the new features we have coming down the pipe.